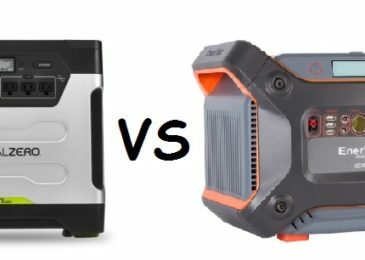 A review of the Renogy rugged power pack solar generator. 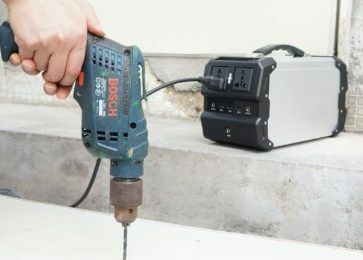 A review of the multi functional portable solar generator called Renogy rugged power pack. 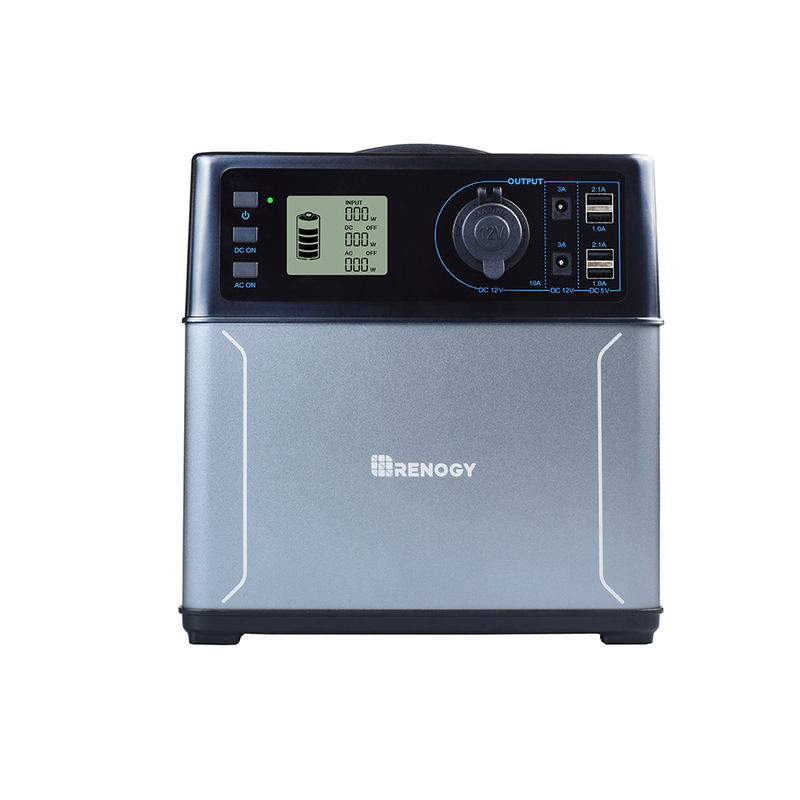 Yet again Renogy gives us a high quality product on which you can rely on in case of unexpected blackouts and power outages. 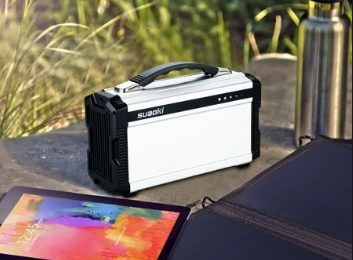 Suitable for camping, road trips and it will always give power to your devices. The 400Wh Lithium ion battery can be recharged with AC power, car power and solar power (120W max). This solar generator has a large LCD screen which shows capacity, error status and charge-discharge. It also has three buttons with LED indicators. As far as protection is concered it has a short-circuit one and also over charging and discharging protection. Another great feature is the Battery Management System that prevents over-temperature, over-current and over voltage. When it comes to application, there is a broad choice of usage, such as power car devices, laptops, phones, tables iPads, Bluetooth devices, digital cameras, e-readers,display monitors as well as LED bulbs. 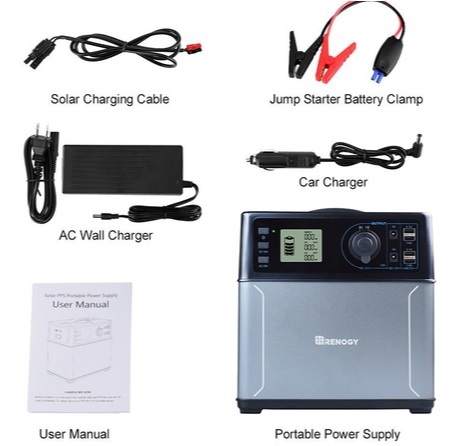 The package has the following contents: a portable power supply, jump starter clamps, user manual, a 2-year warranty Card and three types of chargers: AC wall charger, car charging cable, solar charging cable. The dimensions of the product are 9.1 x 5.8 x 9.3 inches and it weighs 12.5 pounds. If are hear any I’ll let you know. The rating of the Renogy Rugged Power Pack of 4.4 stars by users on Amazon speaks for it self. The users are the most honest critics and they only have words of praise for this product. The unit is very light but it holds a lot of power. Due to the protection systems it never get’s hot and the three types of charging are also a nice touch. 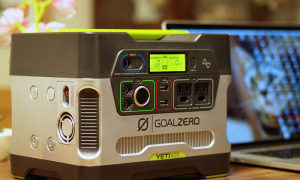 A solar power pack worthy of your money, highly recommended.